The most-expensive cars sold in 2017 at public auction were an Aston Martin DBR, a Ferrari 250 GT California, a McLaren F1, a Ferrari 275 GTB/C and a Porsche 917K. 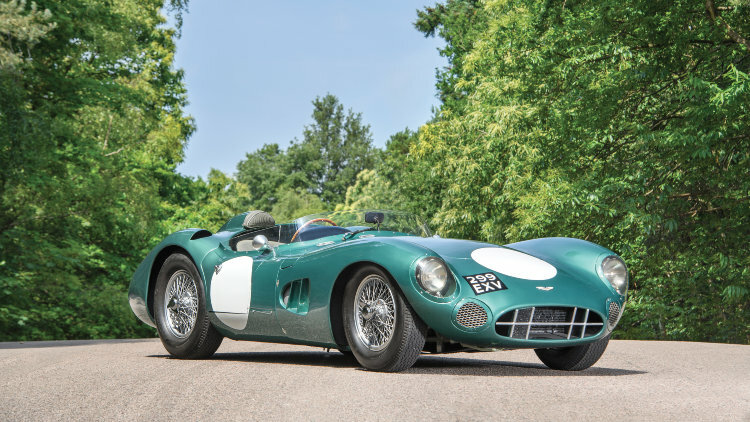 The 1956 Aston Martin DBR1, chassis DBR1/1, sold for $22,550,000 at the RM Sotheby’s Monterey 2017 sale, is the most-expensive car sold in 2017 at public auction. It is also the most-expensive British car ever. The second-highest price for a car at auction in 2017 was $17,990,000 paid for a 1959 Ferrari 250 GT LWB California Spider Competizione. The third most-expensive car in 2017 set a new marque record when $15,620,00o was paid for a 1995 McLaren F1. 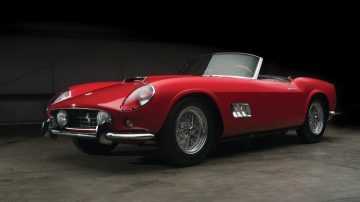 The fourth most-expensive car this year is a 1966 Ferrari 275 GTB/C that sold for $14,520,000. 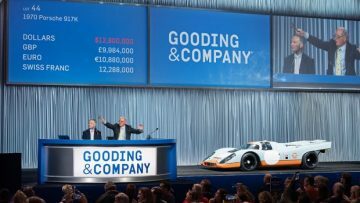 The fifth most-expensive car in 2017 is a Porsche 917K that sold for $14,080,000 – also a new marque record and the second most-expensive German car ever. A new 2017 Ferrari LaFerrari Aperta sold for $10,043,000 as a charity lot as the sixth highest price paid in 2017 for a car at public auction. See also Top-Ten Lists for 2018, 2017, 2016, 2015, 2014, 2013, 2012, 2011 & all time. 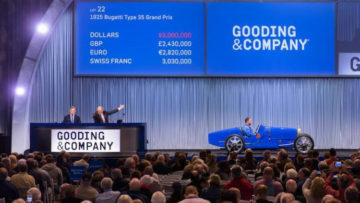 *Note: The LaFerrari was a charity lot and the Cunningham Jaguar was sold in a post-block deal so two more cars are added to provide a top ten of traditional used cars sold during auction. The Peugeot was kept at the bottom as it was such a remarkable result for a remarkable car. The 1956 Aston Martin DBR1, chassis DBR1/1, sold for $22,550,000 at the RM Sotheby’s Monterey 2017 sale as the most-expensive car sold during the Monterey Week 2017 classic car auction series. 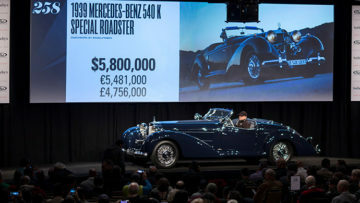 It was the seventh highest price ever achieved for a car at public auction and one of only eight cars ever sold for over $20 million. 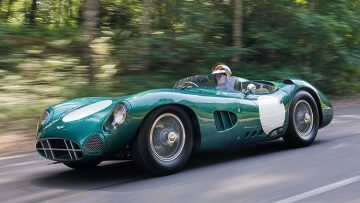 The 1956 Aston Martin DBR1 is the most-expensive British car ever taking the record from the 1956 Le Mans-winning 1955 Jaguar D-Type that RM Sotheby’s sold for $21,780,000 at Monterey 2016 while the Aston Martin marque record increased from the $14,300,000 paid for a 1962 Aston Martin DB4 GT Zagato at the RM Sotheby’s 2015 New York sale. The 1956 Aston Martin DBR1 was the first of five DBR racing cars built with the specific aim of winning Le Mans, something that a sister car (DBR1/2) did in 1959. DBR1/1 participated at Le Mans three times – 1956, 1957 and 1958 – but retired on all three occasions. DBR1/1 was intensively raced in period with its best result overall victory at the 1959 Nürburgring 1000 KM driven mostly by Stirling Moss who broke the lap record 16 times during the race. 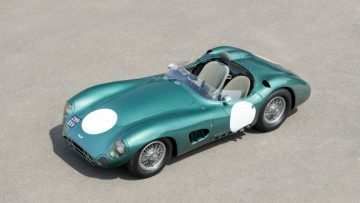 See 1956 Aston Martin DBR1 – Most-Expensive British Car Ever for more on this record-setting car. The 1959 Ferrari 250 GT LWB California Spider Competizione, chassis 1451 GT, sold for $17,990,000 at the RM Sotheby’s New York Icons sale as the second most-expensive car sold at public auction in 2017. This was was the second of only eight California Spiders bodied in aluminium and with full competition specification. The 1959 Ferrari 250 GT LWB California Spider Competizione was driven by owner Bob Grossman as a NART entry to fifth place overall at the Le Mans 24 Hours race in 1959. Bonhams set a new marque record with a 1995 McLaren F1 sold for $15,16,620,00 at the Quail Lodge 2017 classic car auction during Monterey Week 2017. This car was the first of only seven McLaren F1 sports cars federalized for use in the USA and the 44th of the 64 street-legal F1 cars built. 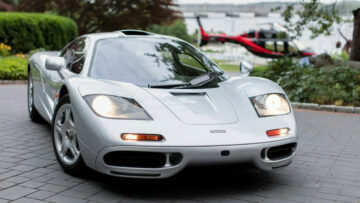 The McLaren F1 was sold by it first owner and is highly original without later performance upgrades. The 1995 McLaren F1 was expected to achieve a high result but not to lift the McLaren marque record by nearly two million dollar from the $13,750,000 paid for a 1998 McLaren F1 in Le Mans Specification at the RM Sotheby’s Monterey 2015 sale. See 1995 McLaren F1 Announcement for more on this car. A new model record was set when a 1966 Ferrari 275 GTB/C sold for $14,520,000 as the top result at the Gooding Pebble Beach 2017 sale. This car was one of only 12 competition versions of the popular 275 GTB series produced. It was raced in period in Italy. The fully restored 1966 Ferrari 275 GTB/C retained its original engine, ultra-thin alloy bodywork and chassis. It was awarded 99 points at the 2007 Pebble Beach Concours d’Elegance – the last time it was displayed. See 1966 Ferrari 275 GTB/C Announcement for more on this car. A new Porsche marque record was set when the 1970 Porsche 917K, chassis 917-024, sold for $14,080,000 at the Gooding Pebble Beach 2017 auction. It was only the second Porsche sold for over $10 million and the second most-expensive German car ever. Porsche used this car in the development of the 917 series and although it set best lap during practice for Le Mans was never actively raced. The value of this Porsche comes from Swiss owner and racing driver Jo Siffert leasing the car to Steve McQueen’s Solar Productions for use in the making of the film Le Mans (1971). Somewhat ironically this racing Porsche 917K that never raced took the Porsche marque record from the 1983 Le Mans 24 Hours winning 1982 Porsche 956 in Rothmans livery that Gooding sold at the 2015 Pebble Beach for $10,120,000. See also 1970 Porsche 917K Announcement for more on the most-expensive Porsche ever. A still-to-be-built 2017 Ferrari LaFerrari Aperta sold for €8,300,000 ($10,043,000) as the top result at the RM Sotheby’s Ferrari Maranello sale. This car was offered as a charity lot with Ferrari donating the full amount to Save the Children. 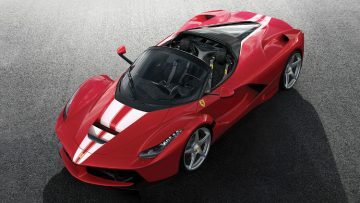 The LaFerrari is the last of 210 Aperta models built and will be finished in a unique color scheme of red with white center stripes. Even without the charity angle, this Ferrari would probably have made the list. It is the first LaFerrari Aperta ever offered for sale at auction. The record for a used LaFerrari Berlinetta is just over $5 million while the 500th LaFerrari Berlinetta was sold for $7 million in another Ferrari-RM Sotheby’s charity auction. This 2017 Ferrari LaFerrari is only the 42nd car ever to achieve $10 million at public auction. It is the only 21st century car on that list and thus obviously also the most-expensive 21st century car ever (at least thus far!). 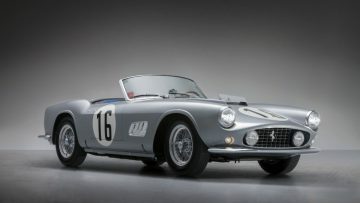 A 1959 Ferrari 250 GT LWB California Spider just missed out on the $10 million mark when it sold for €7,855,00 ($9,504,550) at the RM Sotheby’s Ferrari Maranello sale. This 1959 Ferrari 250 GT LWB California Spider was the 35th of only 50 LWB California Spiders built with Scaglietti coachwork and is a matching numbers example in a fully restored condition. It won 35 concours awards between 1988 and 1992 but was only shown at the XII Palm Beach Cavallino Classic in 2003 where it won a platinum award. 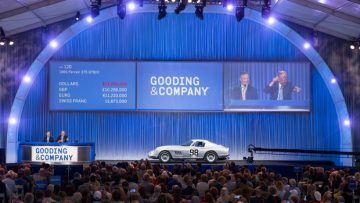 A 1961 Ferrari 250 GT SWB Berlinetta sold for $8,305,000 at the RM Sotheby’s Monterey 2017 classic car auction. This car was the 110th of 165 produced and one of the 90 lusso versions. 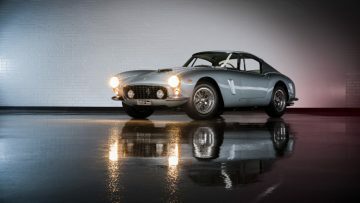 Although restored to concours condition and being Ferrari Classiche certified and Cavallino Classic 2016 Platinum awarded, the result was towards the lower end of prices for 250 GT berlinettas. 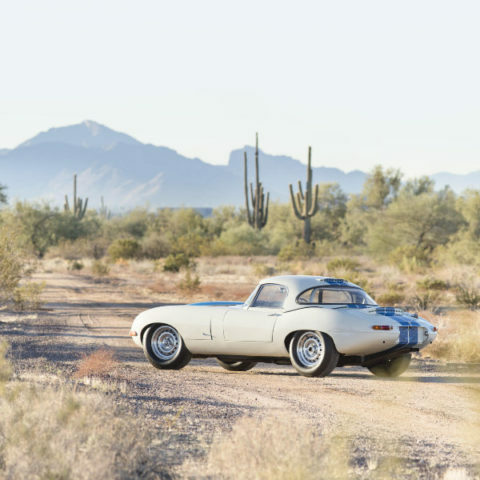 The ex-Team Cunningham 1963 Jaguar E-Type Lightweight failed to sell during the Bonhams Quail Lodge 2017 auction with a highest bid of $8.2 million. Bonhams announced later that the Jaguar was sold in a post-block deal for only $8 million premium included. In accepting this offer after refusing the higher bid during the auction meant the seller in effect lost around a million dollar in the deal. This 1963 Jaguar E-Type Lightweight Competition Coupe participated as a Team Cunningham car in the 1963 Le Mans 24 Hours race but completed only 8 laps. Later, Team Cunningham raced it at the Road America 500 and then again at the Bridgehampton 500 where it finished fourth overall. 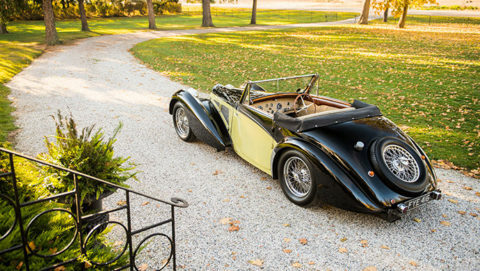 A stylish 1937 Bugatti Type 57S Cabriolet by Vanvooren sold for $7,700,000 at the RM Sotheby’s Amelia Island 2017 sale as the top result at the Florida week classic car auctions. Only four of the 42 Bugatti Type 57S chassis were ever fitted with cabriolet bodywork by the coachbuilder Vanvooren. The car sold at Amelia Island 2017 is a highly original, unrestored example with its original chassis, engine, gearbox and bodywork. 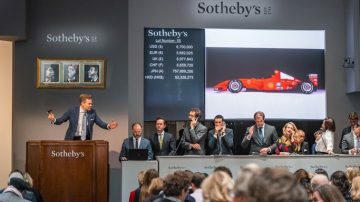 The 2001 Ferrari F2001, chassis 221, that Michael Schumacher raced to victory at the 2001 Monaco and Hungarian Formula 1 Grand Prix races sold for $7,504,000 at the Sotheby’s Contemporary Art auction in New York. The 2001 Monaco Grand Prix was the final of Schumacher’s five Monaco race wins and the last time Ferrari won Formula 1’s most prestigious race until 2017. Schumacher also drove this specific car to victory at the Hungaroring to clinch his fourth (of eventually seven) Formula 1 World Driver’s Championship with four races to spare. This was his second championship (of five) with Ferrari and secured Ferrari its 11th Constructor’s Championship. For more on this car see 2017 RM Sotheby’s Michael Schumacher Ferrari F1 Sale. A new record was set for an E-Type when a 1963 Jaguar E-Type Lightweight Competition sold for $7,370,000 at the Bonhams Scottsdale 2017 auction. 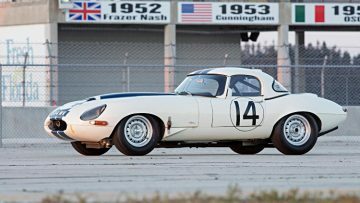 Only 12 of the Lightweight Competition E-Types were ever made making these cars rarer than the Ferrari 250 GTOs that it raced against, often successfully. This 1963 Jaguar E-Type Lightweight Competition was campaigned successfully by Bob Jane in Australia but covered only 4,000 miles since new. They buyer became only the fourth owner. 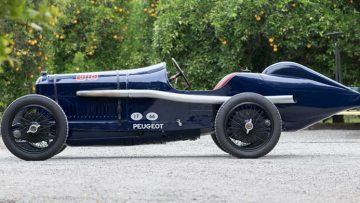 A new marque record was set when a 1913 Peugeot 4.5-Liter L45 Grand Prix Racer sold for $7,260,000 as the top result at the Bonhams The Bothwell Sale near Los Angeles, USA. This Peugeot finished third in the 1916 Indianapolis 500 race and returned to Indy in 1949 to break a 30-year-old lap record. It is one of only two Charlatan Peugeots still in existence and the only one with Grand Prix history.